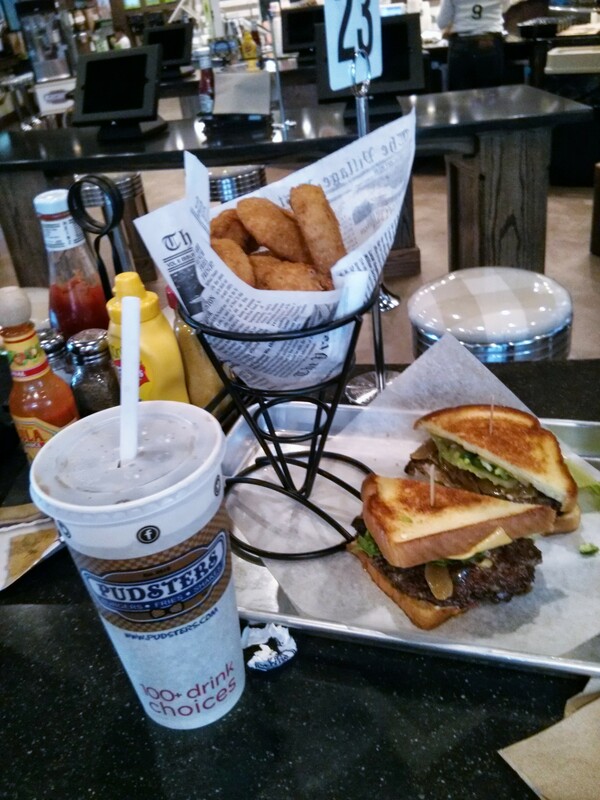 Pulling for Pudster’s and their grilled cheese cheeseburger! 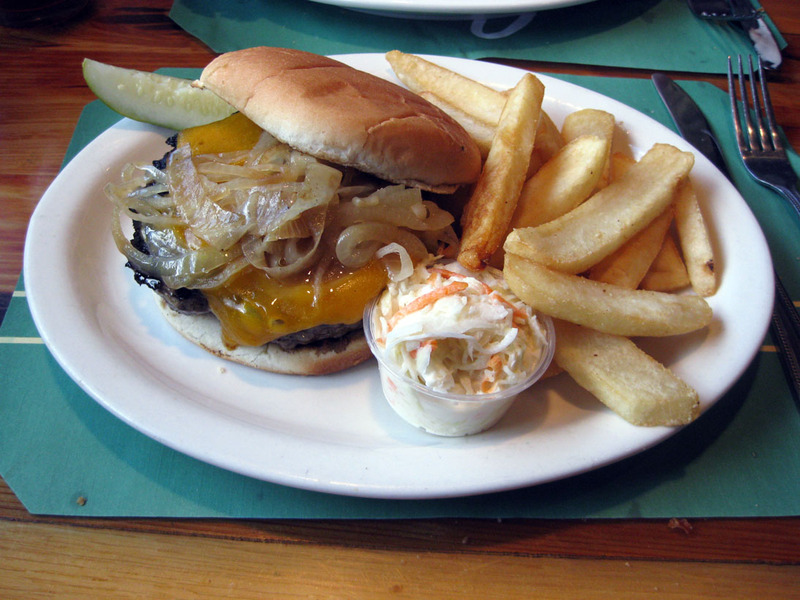 While I was away on vacation, Devil Gourmet published my review of Pudster’s for The Big Eat. The unfortunately named Pudster’s is a hot dog and burger hut, home of an excellent grilled cheese cheeseburger. Would you say I have a bevy of burgers? 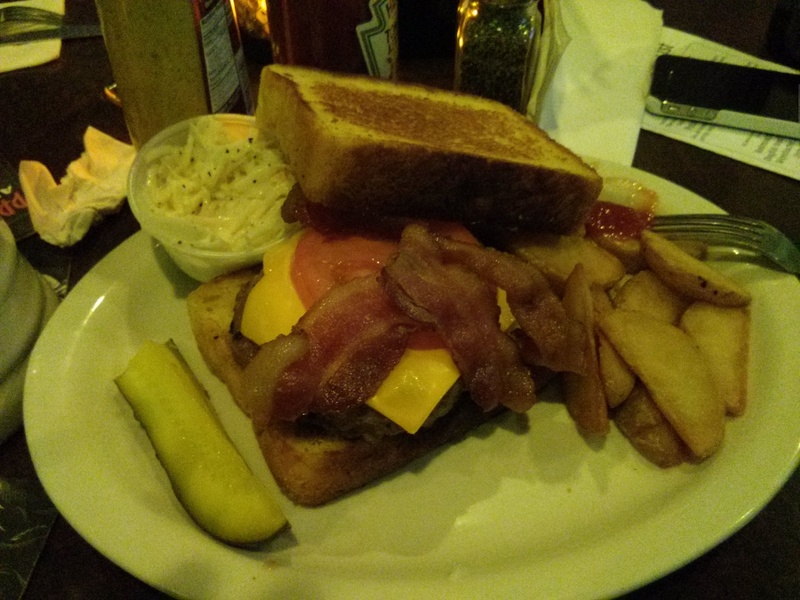 Today at The Big Eat, I introduce you to my favorite local pub and burger joint, The Cloverleaf Tavern, where they offer a new burger every week. Some of them are a little odd, many are phenomenal, but none of them are boring. 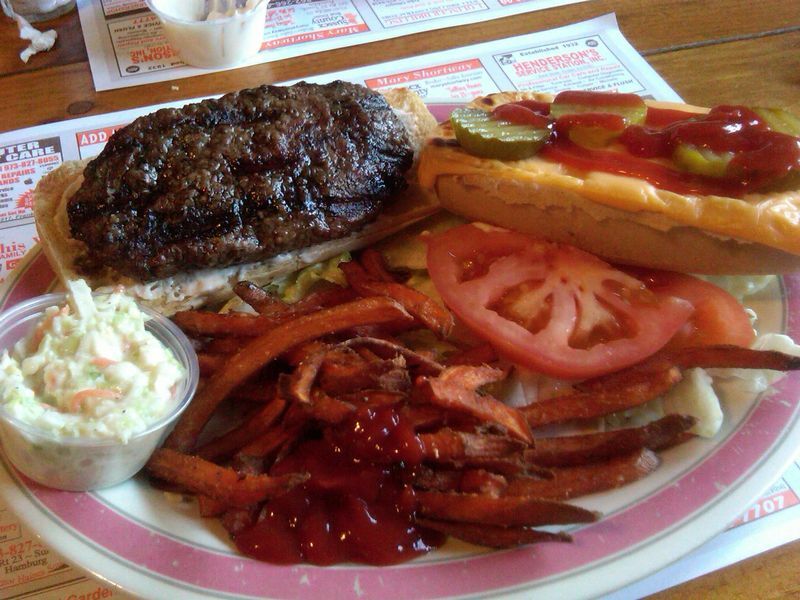 The Cloverleaf’s classic comes perfectly cooked with a good sear on a chewy Italian roll with some of the best fries in the area- the “Trail cut” steak fry/fried potato hybrid, which gives you crisp and pillowy in every bite. Had an amazing bacon, caramelized onion, and boursin pizza at a local gastropub. And the above burger. I’ll tell you all about it in The Big Eat for Devil Gourmet. I saw this first on HBO or Up All Nite, and it remains one of my favorite lesser-known theme songs. By Commander Cody and His Lost Planet Airmen. I have a road trip to what used to be common on the New Jersey highway, a roadside foodstand. Many of them took on a colonial or frontier decor, and named themselves after obscure Revolutionary heroes like “Mad” Anthony Wayne. I found one still serving grilled ground beef simply and tastily, and remember many more. An Ode to the Vanishing Char-Broiler, a Garden State Tradition, at Devil Gourmet. Introducing my new greasy spoon, burger & beer joint column for Devil Gourmet, THE BIG EAT. 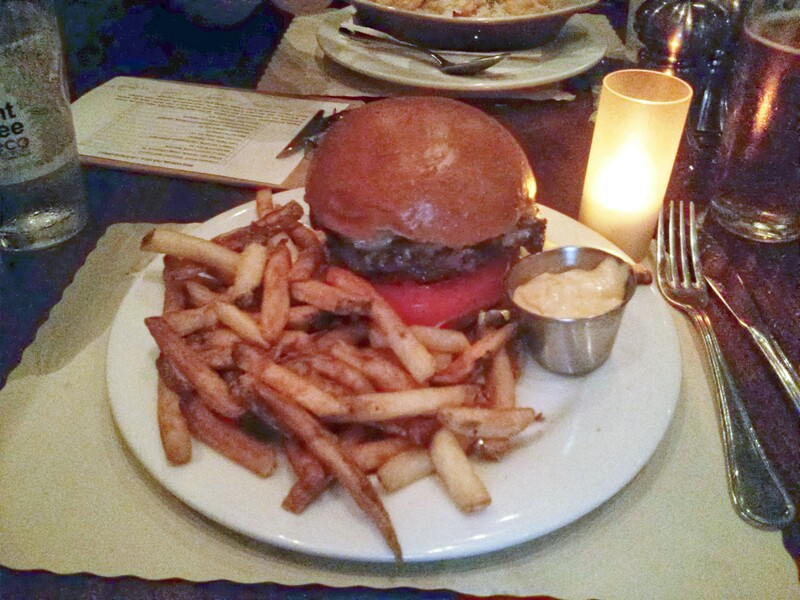 Please drop on by to read about my visit to Krug’s Tavern, the Raging Bull’s burger bar. My gastronomic explorations will be recorded there for your awe and bewilderment. You will be satisfied!